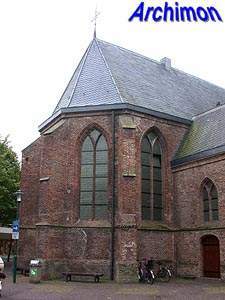 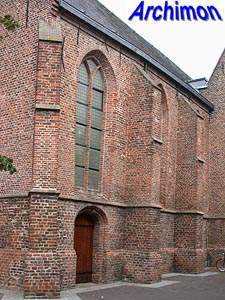 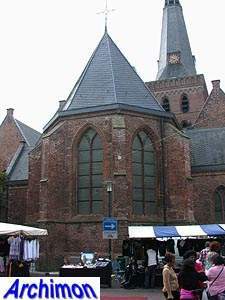 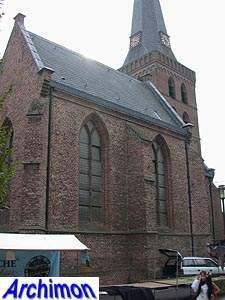 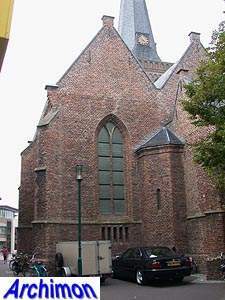 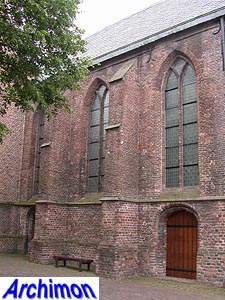 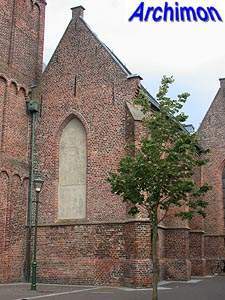 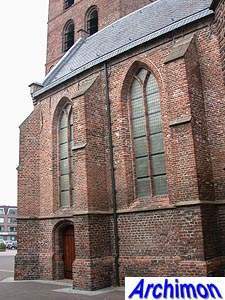 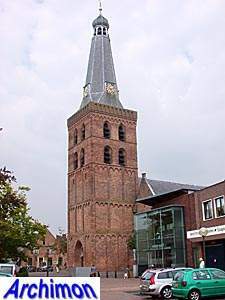 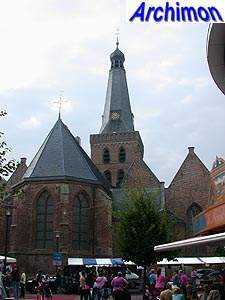 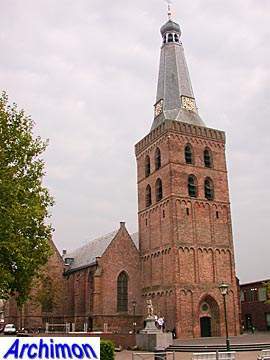 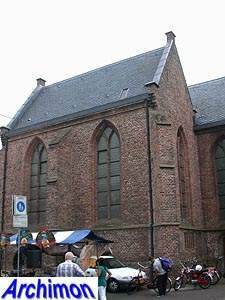 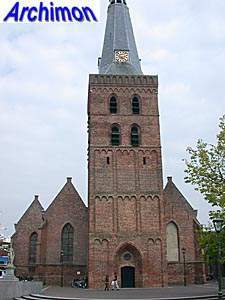 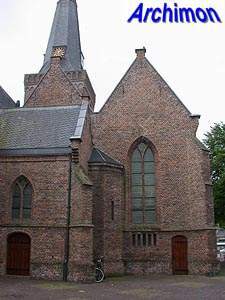 The reformed church, originally dedicated to St. Odulphus, is probably best known for the fact that in 1482 knight Jan van Schaffelaar jumped off its tower. 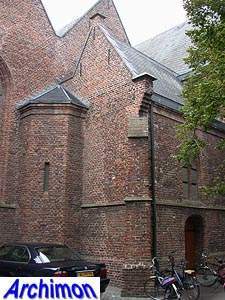 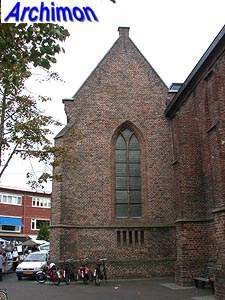 The church was originally built in the 14th-century or earlier as cruciform church of unknown width. 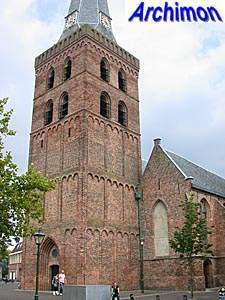 While sources claim the church was in Gothic style, its tower was and is Romanesque and was possibly built in the 13th century. 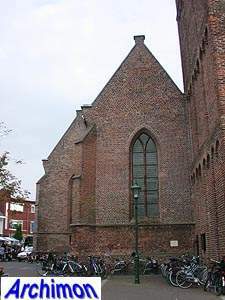 In the 15th century the nave was rebuilt into a hall-church, with three aisles of almost equal height and width. 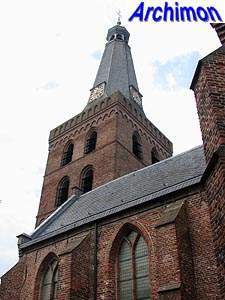 In the same period two sections in a Gothic style were added to the tower, which was given a balustrade around the spire. 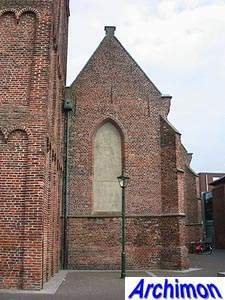 The church was destroyed and rebuilt twice, but the main change appears to have been the replacement of the wooden vaults by ones made out of brick. 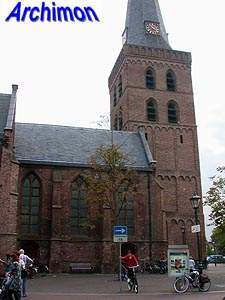 The tower was completely rebuilt in 1828, after a fire destroyed it the previous year. 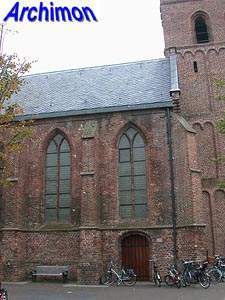 While the central aisle ends in a polygonally closed choir, the side-aisles have straight lateral choirs. 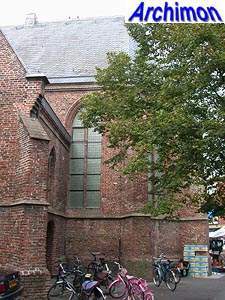 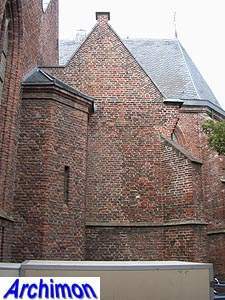 During a restoration by G. van Hoogevest between 1927 and 1930, transept-arms with galeries were added to both sides of the nave to create more space for the growing community. 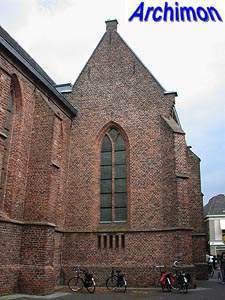 Unusually, these transept-arms are shaped like short side-aisles and have roofs that run paralel to those of the nave.